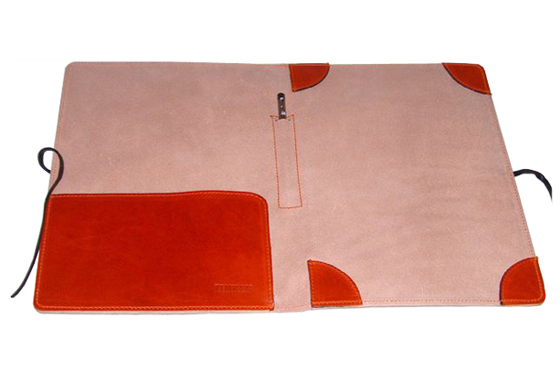 At your next corporate meeting, congress or company gathering give your clients the gift of authentic Italian leather. From leather bound portfolios, briefcases, and planners to travel bags, golf bags and leather cases, you’ll find the perfect gift to reflect your corporate image. Select a product from the catalogue or custom design a unique leather bag or accessory for your company-Old Angler offers a variety of exclusive solutions to satisfy your needs, big or small. 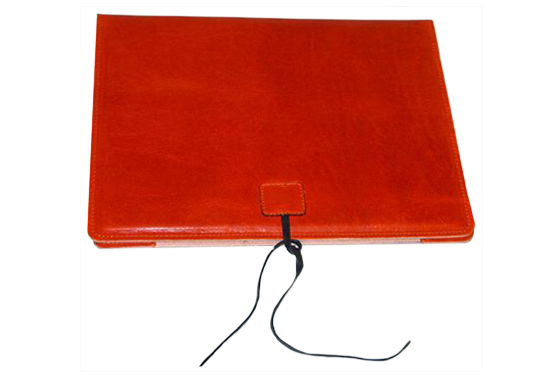 Customized leather portfolio in the TIMKEN color with the logo to be given to participants of the September 2008 international convention in Tuscany. Custom designed corporate gift developed and created together with the Russian company. 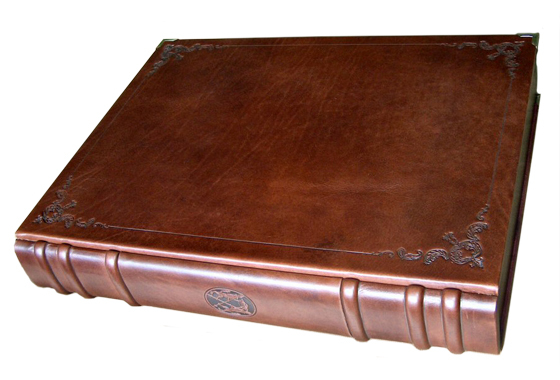 Unique leather cases with antique brass finished closures and fittings to hold reproductions of antique books. 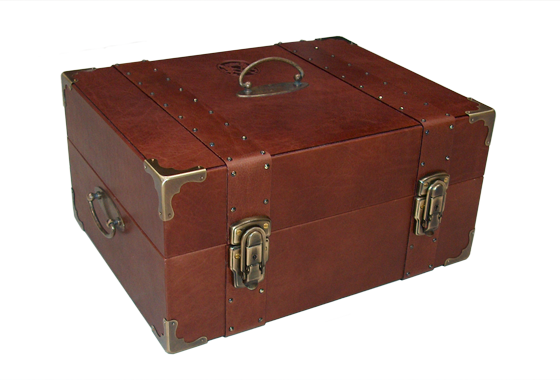 The second project, now in progress, is a briefcase in the shape of an antique book and a compendium, both leather bound in vegetable tanned leather. 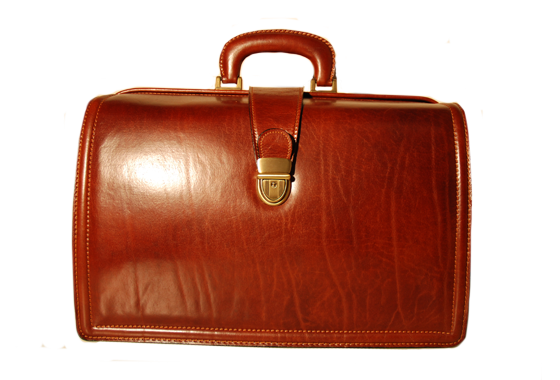 All leather briefcase with metal frame opening and three interior compartments for scientific collaborators. Send us an e-mail and find your perfect Corporate Gifts!